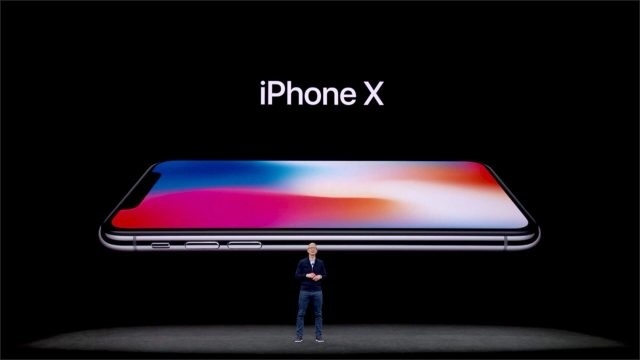 Official information on Apple’s iPhone X suggests that battery life should last about 2 hours longer than the iPhone 7 due to the newly introduced dual multi-cell battery. But what if we wanted to squeeze out the last drop from the battery of our new smartphone? Thanks to Apple’s Accessibility settings, iPhone X owners will be able to save battery simply by using the Color Invert System (Smart Invert Colors) or Grayscale. And since the iPhone X comes with an OLED display that can explore many shades of black, you can experience the feeling of having an “all-black” phone. The first thing to consider is that iOS already offers an energy saving mode , which can be activated at any time in the settings General -> Battery. Activating this feature will reduce battery consumption by disabling certain features of the device, such as background data updates and some visual effects. This feature can be turned on and off at any time , but Apple also provides quick access to it when the iPhone drops to 20% and 10% battery through an alert window on the screen. If this is not enough, you can always go to Settings -> Accessibility -> Screen Adjustments to get access to the Smart Invert function. By activating this option you will switch to a sort of “negative” effect, with a white and black adjustment automatically calculated on the pixels contained in the images. This will decrease consumption considerably, increasing battery life . Finally you can try to select the “Color filters” option in the Screen Adjustments, choosing the gray scales. It is not proven, that this option helps to save energy, but certainly will use less battery at the time of switching on the screen, as everything will result in black and white. Adding these three tips , that is, the gray-scale color filters, the Smart Invert and the energy-saving option, you could have an unbeatable battery in three easy steps. To try! to increase the battery life of your iPhone.